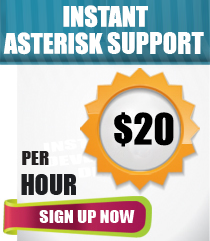 AsteriskSupport24X7.com is a support arm of *astTECS – a telecom centric enterprise on open source technology, ‘Asterisk‘. The support center is located at the center of Bangalore – INDIA, and is equipped with knowledgeable resources to support open source telephony. *astTECS is a leading manufacturer & solution provider of open source telephony in India, with a vision to revolutionize the global PBX market with Asterisk based solutions which is considered to be the ‘Future of Telephony’. 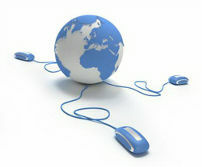 To live up to that vision, we offer 24X7 professional support services to our client, globally. Let your call center or offices be in any part of this world, our engineers can solve your problems by making the best use of the technology. Get instant analysis of your Asterisk Communication System, and get it fixed instantly. Affordable SLA packages to suit Small, Medium & Large Enterprises. Business Development Team at AsteriskSupport24X7 are experienced in guiding the best suitable communication solutions to suit all types of establishments. Software professionals in our Research & Development department customizes any specific requirements of customers. *astTECS provides 24X7-Online Asterisk support services for all types of Asterisk based applications. Our Technical Support Engineers are trained professionals in all types of Asterisk applications, with troubleshooting experience ranging from basic dial plan to real time configuration management, complicated IVR integrations, CRM integration and ODB integration.